Conferring for the last time with our group of caregivers, Rod and I secured our seat belts and headed on our way out of the Adirondacks. For the next four days we were free from the hectic schedule that dictates our daily lives. While we explored Kentucky horse country, somebody else was going to care for our four legged family. Along the way we visited the Rock and Roll Hall of Fame in Cleveland, Ohio. This museum presents the larger than life performers of my youth in a real and tangible manner. What I realize is that most of the 70's male idols were actually petite men with large talent and an ability to pump up a crowd of 30,000 in a drum beat. From Ohio we headed south toward Louisville and Lexington. While immersing ourselves in the Thoroughbred industry we gazed upon Kentucky with an eye on retiring there someday. Perhaps our future lies within the miles of railed fences and acres of lush, calcium rich pasture land that stretches across the bluegrass. Dedicated to M. deCamp, C. Diver, R. Craig, H. Craig and R. Craig for their exemplary care of MRF in our absence. Thank you all! An ominous funnel cloud guided our way to Ohio. Standing next to Mick Jagger's stage costumes emphasizes how petite he is. Pink Floyd fans might recognize this enormous balloon character from The Wall. The hosts on Great Day Live seemed genuinely interested in my book and life with animals. The interview is available at the following link. Iconic twin spires identify Churchill Downs. 2006 Kentucky Derby winner, Barbaro's cremated remains are buried below the pedestal of this majestic statue. Hanging out with 2007 and 2008 Horse of the Year, Curlin. Michael Matz's 2013 Kentucky Derby contender, Union Rags stands at stud at Lane's End Farm. 2003 Kentucky Derby and Preakness winner, Funny Cide lives at the Kentucky Horse Park. Since he was gelded before his two big wins, a career in the breeding shed was out of the question. Visiting with 2013 Kentucky Derby winner Orb is part of the free tour at Claiborne Farm. War Front is Zenyatta's 2014 filly's sire. His stud fee is a mere $150,000. ....And speaking of Zenyatta, Blame is the stallion who ended her racing career with 19 wins and 1 second place finish out of 20 starts! Three days after I returned from Kentucky, I signed books at the National Museum of Racing in Saratoga Springs. And who should I meet in the gift shop? Why that's Ron Turcotte, Secretariat's jockey. I shared a picture of our family including Easau, my grandson of Secretariat. Turcotte's license plate is a tribute to Secretariat. Of course we had to purchase some Secretariat souvenirs! This option internet search great site or limits disturbance to the current route of movement and is normally extra satisfactory to pals. Fractional substitution of the separated zones of the vintage fence with a similar type of offense, This is any other complaint remover, and doesn't get a comparable degree of obstruction. 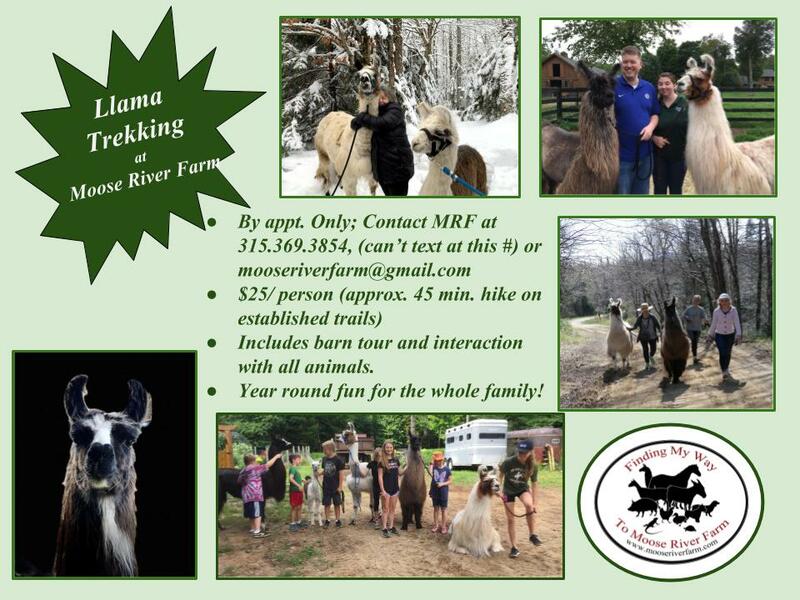 Year round fun for the whole family! A memoir about a happy life spent with a variety of extraordinary creatures. 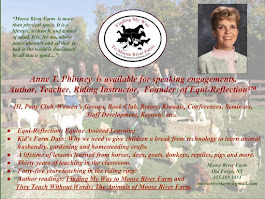 Anne Phinney is a writer, author, and retired elementary/middle school teacher in Old Forge, a town in the central region of the Adirondacks. 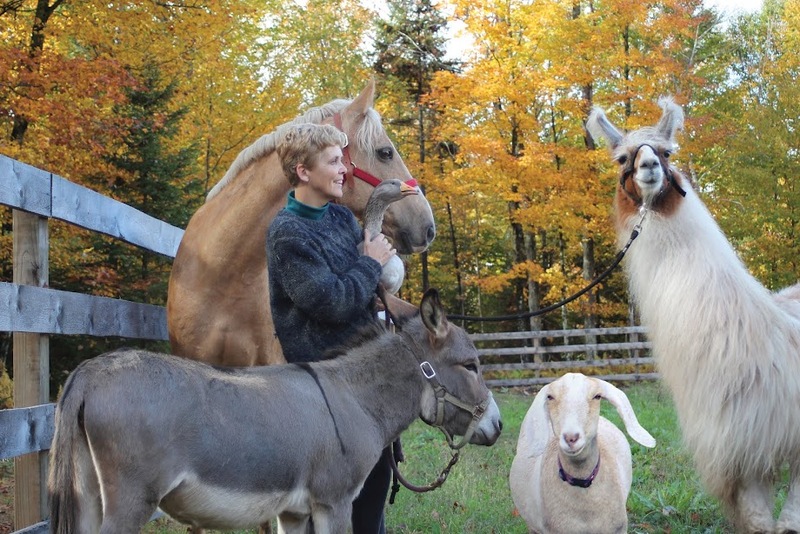 She and her husband, Rod own Moose River Farm which they share with a variety of animals including horses, goats, donkeys, llamas, dogs, a flock of chickens, a gaggle of geese, two tortoises and a pig. 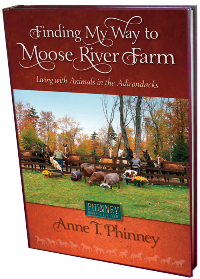 They Teach Without Words; The Animals of Moose River Farm will be available summer, 2019. Stay tuned for more details. MRF's Favorite Sites on the Web! All images and text are property of Anne T. Phinney. Picture Window theme. Powered by Blogger.